When they say celebrities can’t find true love then there is the need to ask popular Yoruba actress, Yewande Adekoya Abiodun, how she has been able to manage her home. Yewande can be proud to say that she got married to her best friend, actor, Abiodun Thomas, and they have been able to manage their home for five years now and still counting. There is nothing that gives a woman joy than seeing how God is blessing her home and making things walk out as planned even in the midst where many are looking for their down fall. 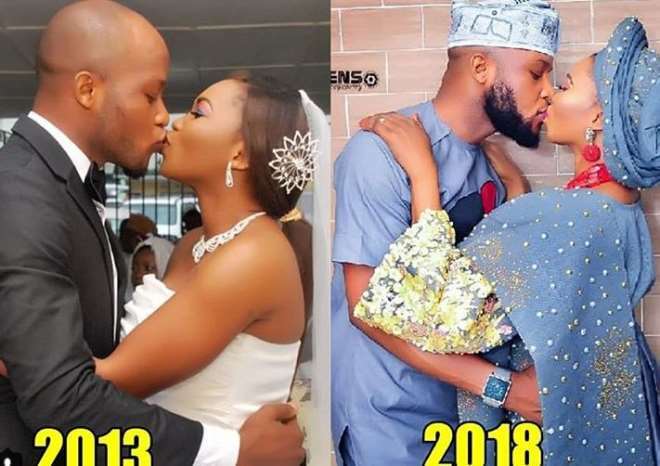 It has been a happy week for the two love birds as they celebrate their union with the hope of celebrating many more years till they no longer have teeth to kiss each other (lol).